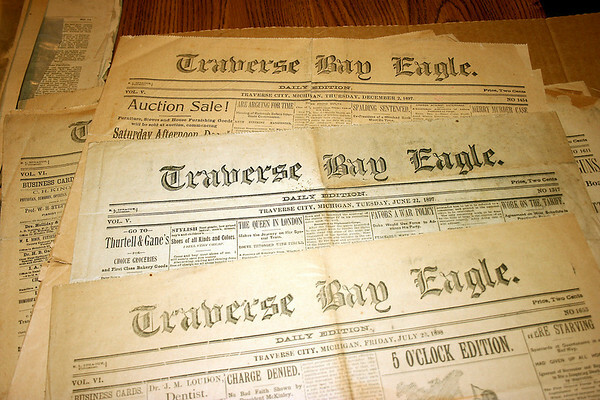 The Traverse Bay Eagle, a weekly, was founded in 1865 in Elk Rapids by Elvin Sprague and moved to Traverse City in 1867. It and the Daily Eagle were consolidated with other area papers into the Record-Eagle in 1910. Few microfilms or copies of the Traverse Bay Eagle remain today.